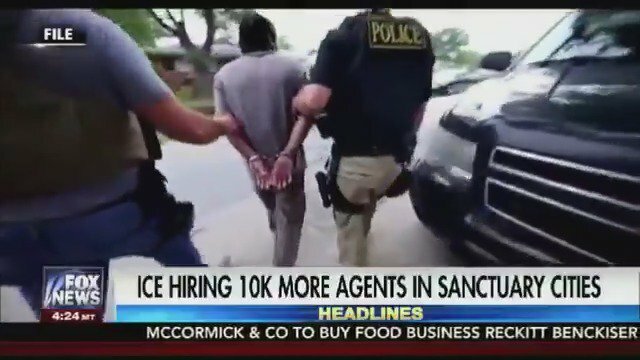 With the stunning announcement that up to 10,000 new ICE agents will be hired and trained, America is weeping a sigh of relief; they will be put in Sanctuary Cities to combat the ever growing problem of illegal migrant criminals. Since Donald Trump became President, border crossings have decreased by 70 percent and have increased by 40 percent. Although it is too early to get full statistics, the removal of people who have already committed at least one crime will lead to a dropping in the overall crime rate. The Left are furious that their “pet projects” are being targeted but seem almost blind to the crippling social effects of illegal immigration in areas they claim to represent. Immigration and Customs Enforcement (ICE) Acting Director Thomas Homan said a help is coming to those suffering in sanctuary cities. And a lot of it.